One of the biggest pet peeves with jailbreaking iOS devices was that if a user wanted to get rid of his/her jailbreak, they would have to restore to the latest version of iOS via iTunes. 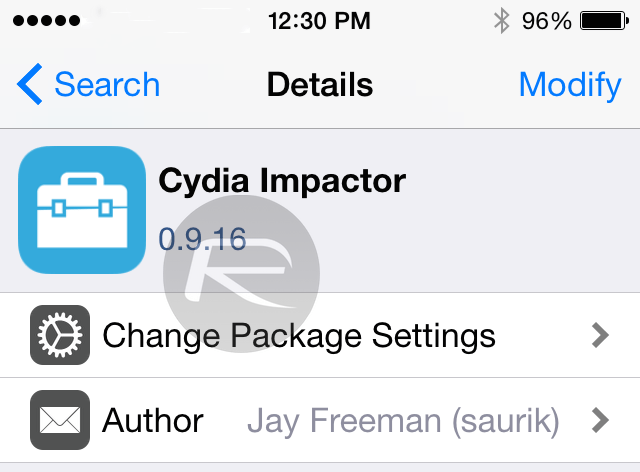 Cydia Impactor is out for jailbroken devices. It lets you restore iOS to stock setup without using Restore functionality in iTunes, without updating iPhone or iPad to latest version of iOS firmware and without losing the ability for the device to jailbreak – all on the same version of iOS. 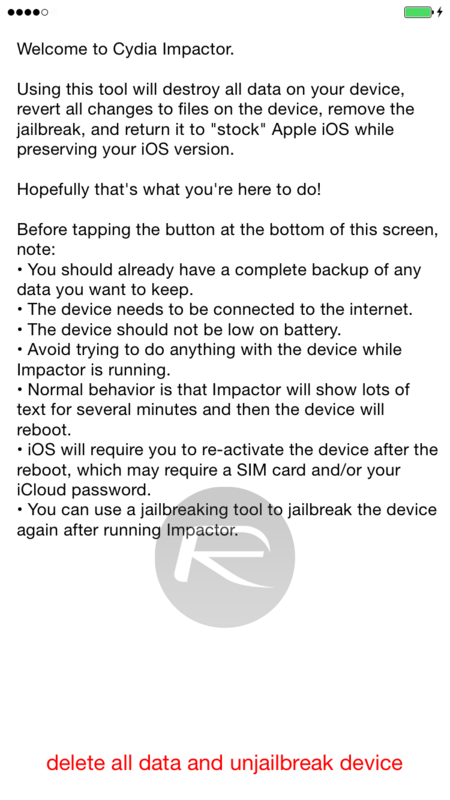 Here’s a step by step guide on to unjailbreak iOS on your jailbroken iPhone, iPad or iPod touch using Cydia Impactor. 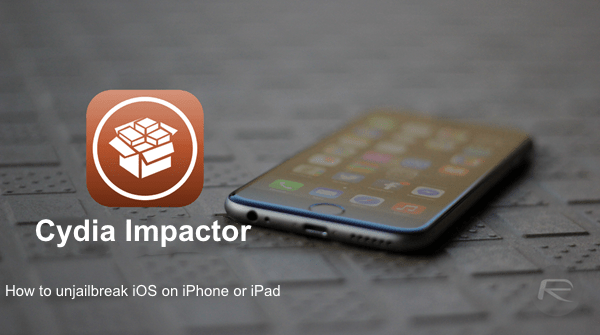 Cydia Impactor is compatible with iOS 8.4 and 8.3 only. Works with all iPhone, iPad and iPod touch models except iPod touch 6. Step 1: On your jailbroken device, launch Cydia and install Cydia Impactor. Step 2: Backup all of your data to either iTunes or iCloud. Step 3: Turn off Find My iPhone from Settings > iCloud > Find My iPhone. Step 4: Plug-in your device, and make sure it is more than 50% charged. Step 5: Now launch Cydia Impactor. Step 6: Tap on ‘delete all data and unjailbreak device’ at the bottom of the screen, followed by tapping on ‘Delete All’. Step 7: Unjailbreak process will now begin. Just be patient and wait for the process to complete. 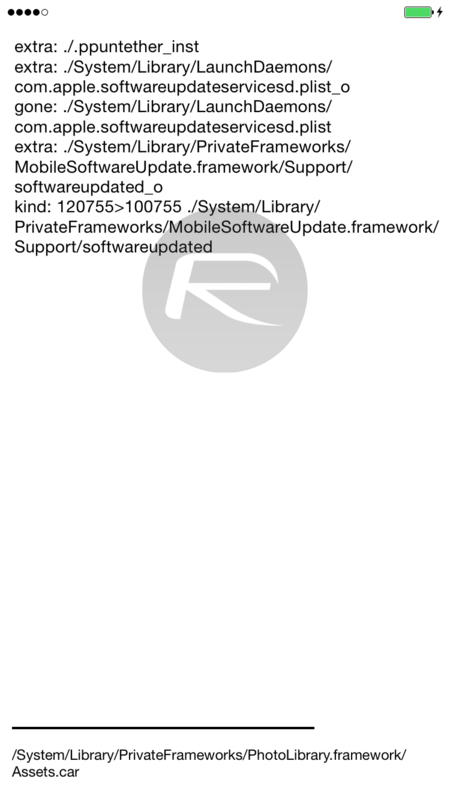 This can take time depending on the data on the device and number of jailbreak tweaks installed. Once done, the jailbreak, all of the data and all of the settings will be completely removed from the device. It will go back to stock and original setup. 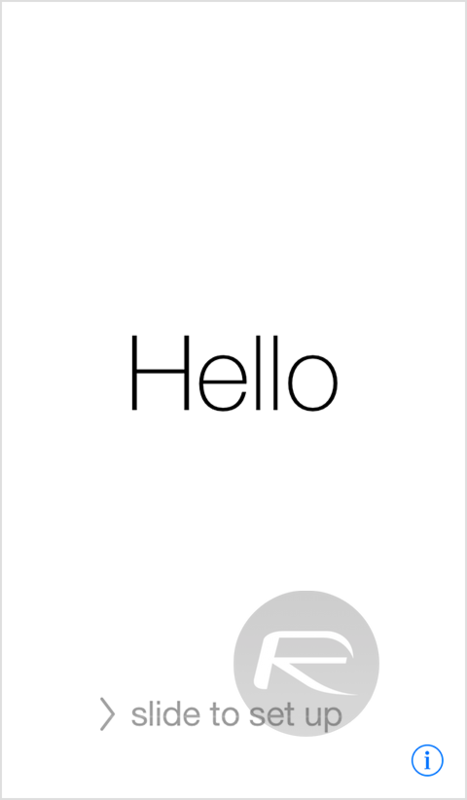 You will be greeted with the familiar looking ‘Hello’ welcome screen of iOS from where you can set up your device and Activate it again. If you want to re-jailbreak, you can do so using available jailbreak tools such as TaiG or PP. This entry was posted in iPad, iPhone, iPod and tagged 8.3, 8.4, apple, cydia, impactor, ios, ipad, iphone, ipod, jailbreak, remove, unjailbreak. Bookmark the permalink.